In the same trip to check on Kyoto film archives, I also went to Kobe to visit the Kobe Planet Film Archive (Kobe Eiga Shiryokan). It's located about a five minute walk from Shin-Nagata Station on the JR line on the second floor of a shopping complex. The area was one of the worst hit during the Kobe Earthquake in 1995 (which I experienced in Kyoto), so much of the area is newly rebuilt. 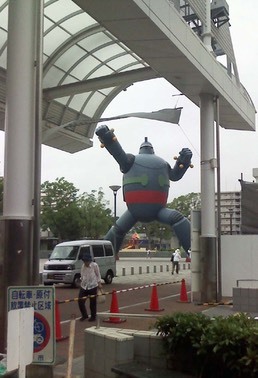 The neighborhood is known among anime and manga fans as the location of the Tetsujin 28-go monument (the robot hero of the Yokoyama Mitsuteru manga/anime that was released in the USA as Gigantor) that was built as a symbol of local revival in 2009. The Film Archive opened in March 2007 with support from the city as another element in Kobe's revival plan. It is managed by Yasui Yoshio, one of the core figures in the Kansai film scene. 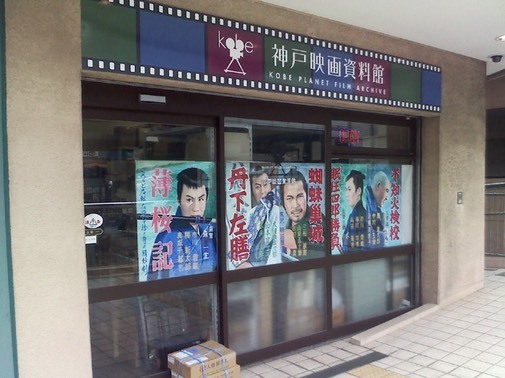 He runs the Planet Bibliotheque de Cinema in Osaka, a private film library that also manages a small theater, Planet + 1. 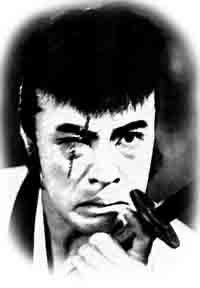 He has unearthed a number of important films, including most recently two of Ofuji Noburo's animated films, and co-authored books like Osaka ni Toyo 1 no satsueijo ga atta koro. I've known him since 1993, when he was coordinating the historical retrospectives of Japanese documentary for the Yamagata Film Festival. We also ventured off to Minamata together to interview Tsuchimoto Noriaki and he provided the prints for my wife's DVD, Roots of Japanese Anime.